My wife and I, along with most NJ/NY’ers, grew up eating in diners. Even though most diners are known for mediocre food, people flock to them. A 20 minute wait for a boring breakfast is a common event. But why? More importantly, can we rediscover this phenomenon in Lakeland? And last but not least, can the food be a little more fun and exciting? Yes! 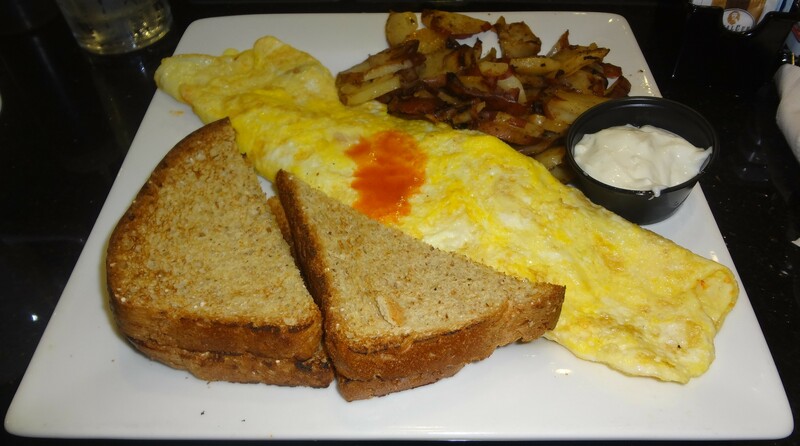 Keke’s Breakfast Café has almost all of the ingredients necessary to establish that classic diner feel. Let’s take a look at each ingredient, one by one. Diners are packed at breakfast time. 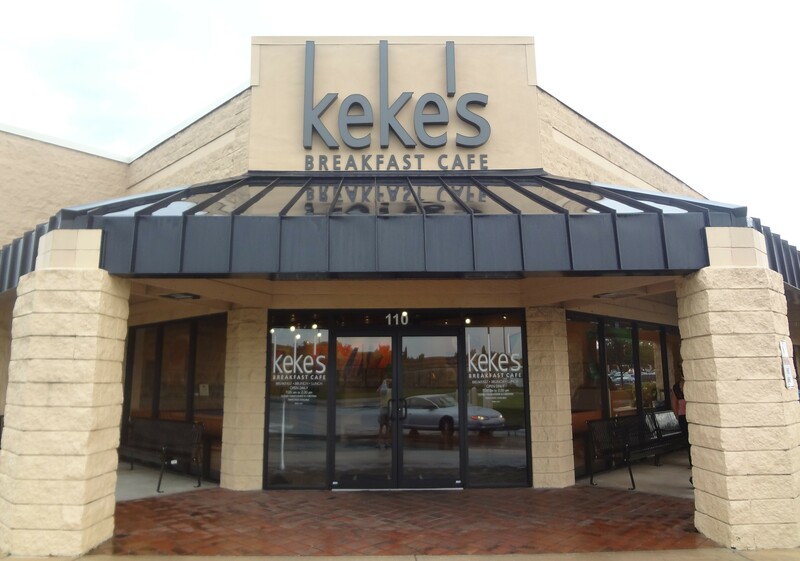 Keke’s is no exception. Something about sitting in the waiting area of diners adds to their appeal. Perhaps the anticipation makes the eating experience seem more worth while. Or, perhaps food tastes better after letting your appetite grow for an extra 20 minutes. It always a feels like a treat when you finally get called to your table, which brings us to our next ingredient. The flip side of this has an equally excessive lunch menu. My wife and I opted for breakfast, which is the norm. Instead of microwaved pancakes and defrosted sausage, we got some food that was above diner quality. Check out the fluff on this pancake! Additionally, some of the dishes here are a bit more creative than traditional diner fare. For instance, a buffalo chicken omelet, stuffed with Perdue chicken breast! This food was so yummy that it began to remind us that we weren’t truly in a diner. However, the moment wasn’t ruined for us. Something about the atmosphere here still made us feel nostalgic… but what could it be? 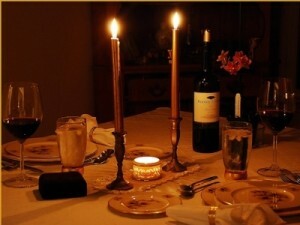 No one comes to a diner for a quiet and intimate meal. Everyone needs a little chaos in their lives. At Keke’s, their turbulence is proudly on display. Bang-bang, crash, ka-pow!!! If all the coffee doesn’t wake you up, then the soundtrack will. Keke’s falls short on this one. Their hours are 7AM to 2:30PM, which means no dinner. No watery spaghetti. No cod being passed off as Mahi. No mushy sirloin steak served alongside of powdered mashed potatoes… wait a minute, aren’t these all things that we can live without? 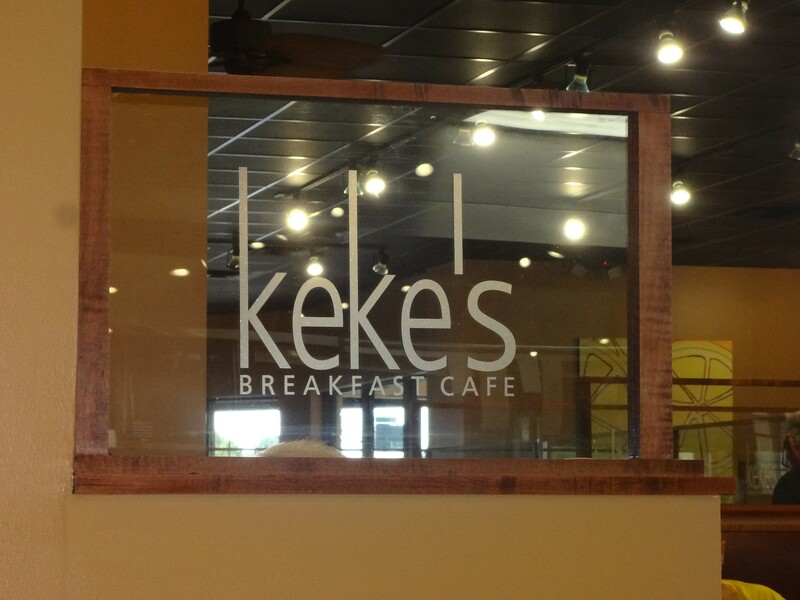 Maybe that’s why Keke’s calls themselves a “breakfast café” rather than a diner. Maybe a touch of classiness isn’t so bad, after all. Maybe, just maybe, we’ll find a way to forgive Keke’s for leaving out everything we hate about diners, yet holding onto everything that we know and love. Welcome to Tigertown! 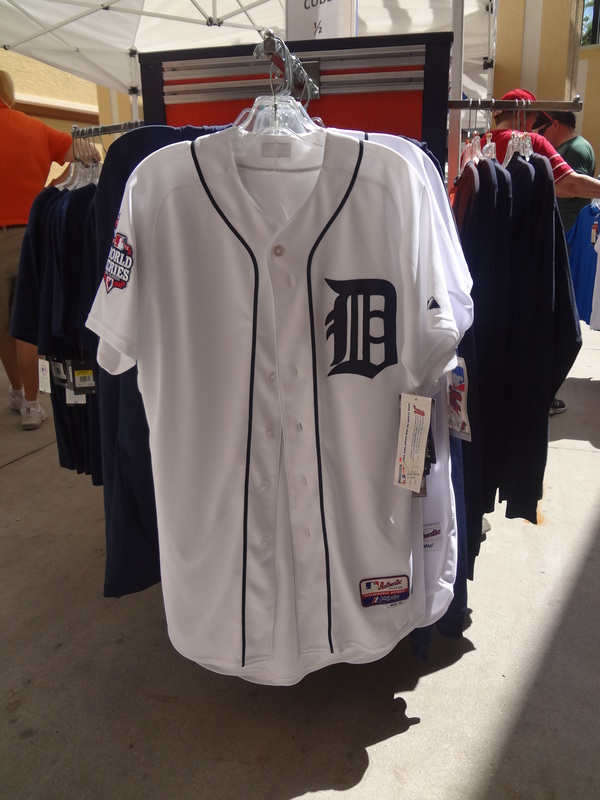 Joker Marchant Stadium is the home of the Flying Tigers and is the spring-training field for the Detroit Tigers! It’s a safe bet that any local baseball fan knows all about this stadium. But if you’re a baseball novice and you’ve never been here, you are in for a bunch of fun surprises! My wife and I are natives of Southern NJ and the greater Philadelphia area, so we decided to come and explore on a day that the Philadelphia Phillies were in town for spring-training. (Philly fans should be sure to check out Lucky’s for Eagles games. You’ll meet many Philadelphians!) If you’ve read our other posts on this website, you know that we are always on the hunt for fun drinks and tasty eats. We found both here! Baseball is a game of many traditions, so we’ll cover the traditional fare first. Take a look. You’ll notice that the prices aren’t too bad. However, if you are feeling sneaky and frugal, please note that we weren’t patted down on the way in. If you’re too adventurous to settle for a hot dog and a Budweiser, there is excellent variety here. Check out some of these more unique offerings! We recommend the Orange Blossom Pilsner and the pulled pork nachos. The Orange Blossom Pilsner is the best selling craft beer in the stadium and is very refreshing on a hot day. 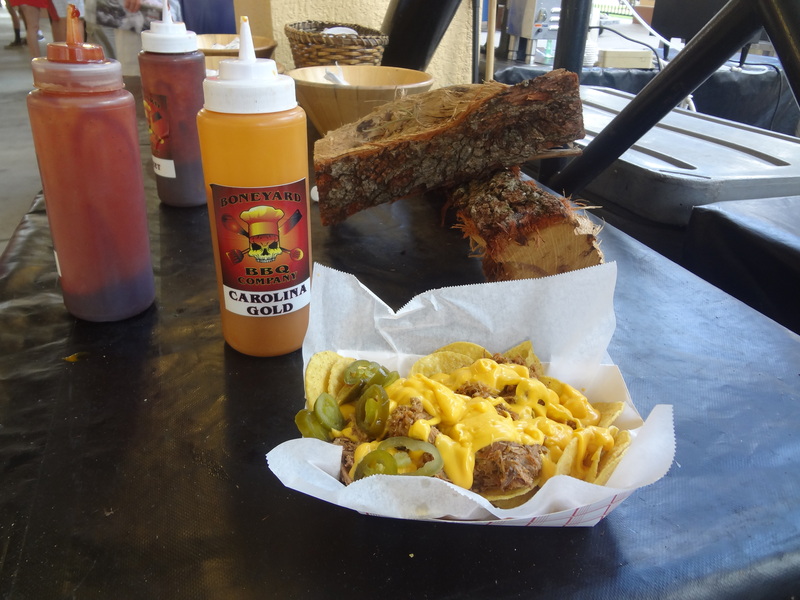 The nachos were loaded with meaty goodness and were plenty enough for the two of us. 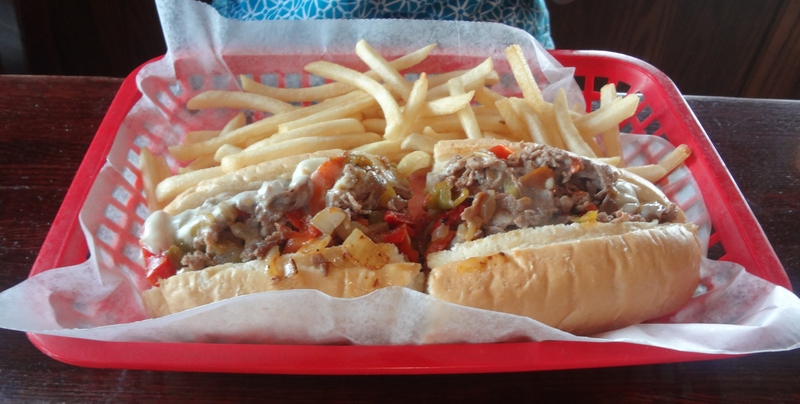 You’ll never find Southern BBQ on the same level as this anywhere near Citizens Bank Park! Also unlike the Phillies stadium, every seat in the house is good. To put things into perspective, if you were to drive an hour to St Pete and check out a Rays game, you’d find yourself in one of the approximately 42,000 seats at Tropicana field. 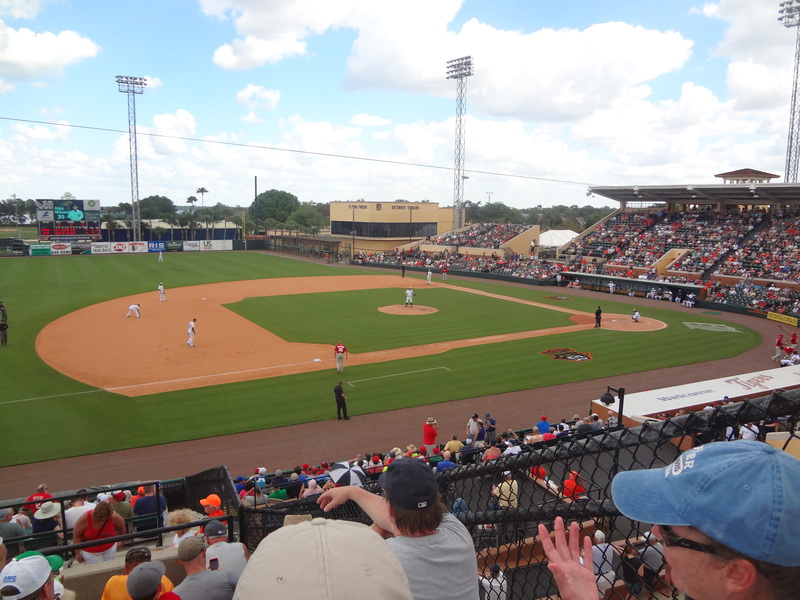 If you were to drive 10 minutes to Joker Marchant Stadium (2301 Lakeland Hills Blvd), you’d either be in one of the 8,500 seats, or on a picnic blanket in the lawn section. If you look closely, you’ll notice that the lawn section has its own concession stand and is a great place to catch a home run ball hit over left field. It’s also super economical. Ticket prices vary from game to game, but if you are in the lawn or “berm” section as it is called, you are going to be paying $20 bucks a ticket after taxes and fees (and an additional $8 to park). My wife and I opted for the 400 section, which provided a fantastic view of the third base line. If you take a look at the map, you’ll notice that there really are no nose bleed sections to speak of, so leave the binoculars at home. So whether you are a Phillies fan, a Rays fan, or a Yankees fan, take a peek at their website and find out when your team is coming to town. You’ll meet tons of folks from your respective city, you’ll have some good food and drinks, and you’ll get to relax as you enjoy our national past time at Tigertown! In the 50+ square miles of Lakeland, there are a whopping total of 2, count them, 2 movie theatres. You probably already know about the well-established Cobb Theatre in Lakeside Village on the Southside of Lakeland. 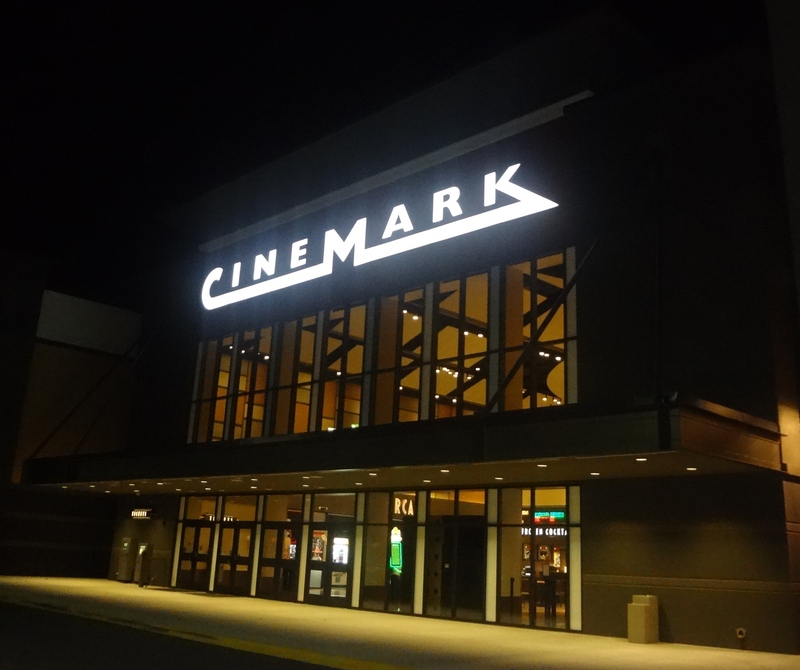 However, you may not already know about the much newer Northside option, Cinemark. Why does the Cinemark get a review? First off, I’d like to mention this place for the sake of the Googlers who are planning a trip to Lakeland. If you are one of the many folks who are here for your kid’s dance competition (congrats on making it to the finals), in town only for Tigers spring training, or here on a business trip, then you are most likely staying in one of the 10+ hotels located just off of exit 32 and 33 on i-4. 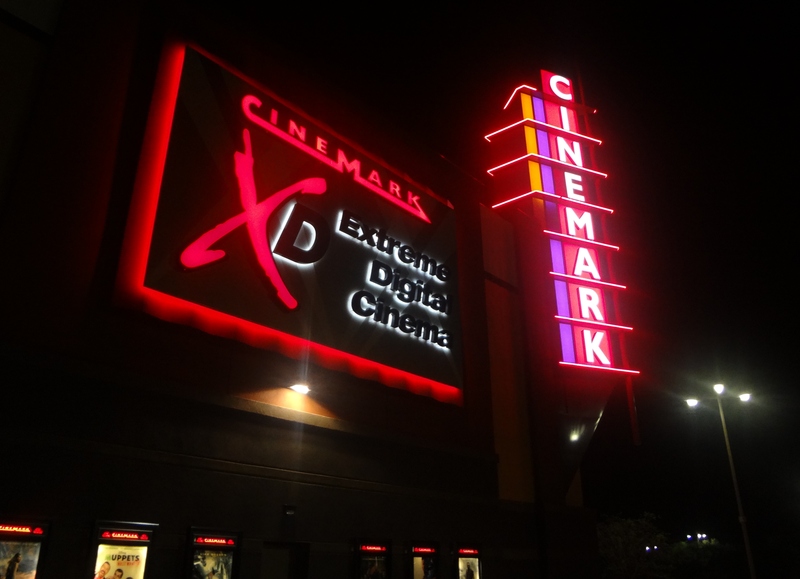 If this is you, then the Cinemark will be an obvious go-to for when you venture outside of your temporary bungalow. If you are in Lakeland for life, then your geography will most likely determine whether you are going to see a movie on the Northside or the Southside. However, let’s review a few of the other determinants! The Cobb Theatre is an IMAX (the next closest ones are in Brandon and Orlando) Furthermore, Cobb is walking distance from The Brass Tap. Not that we have any personal experience in this matter, but The Brass Tap may offer you a beer or 2 “to-go” if you mention that you are seeing a movie. Feeling thirsty but not sneaky? 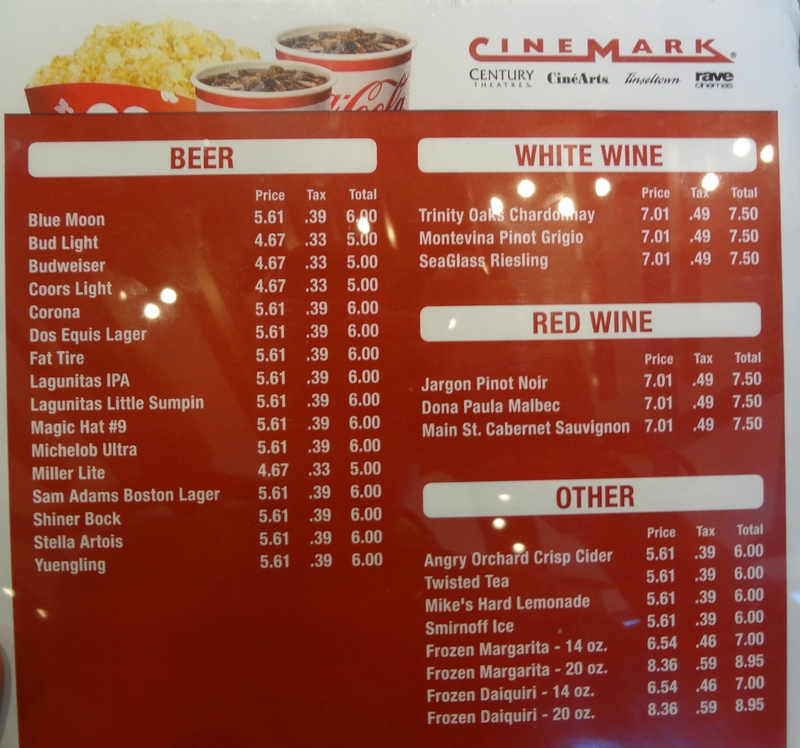 Then Cinemark is for you! 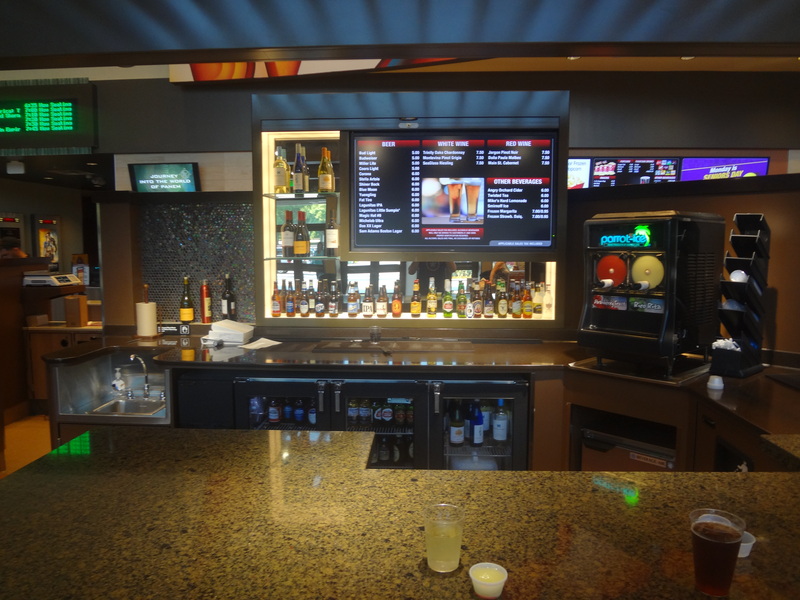 Check out the bar inside of the theatre! Boom. How much fun is that? They don’t offer hard liquor, but check out the alcoholic slushies on their menu below! Booze and videogames are a classic combo, so you may be tempted to stroll on over to the arcade after a few drinks. 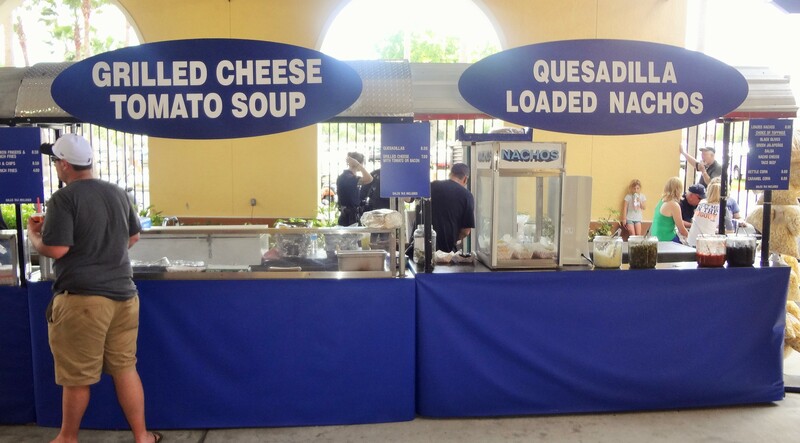 Even the food options here are extra fun. 2 movie tickets here costed us $25 bucks. I obviously can’t promise the flick will be worth every penny (most aren’t, but that’s a topic for a different website), but at least you’ll have no complaints with the theatre. This Cinemark is a welcome addition to Lakeland. Now for the next blockbuster! If you are from Lakeland, then you probably know one of the best answers, because you are probably already Hooked on Harry’s! 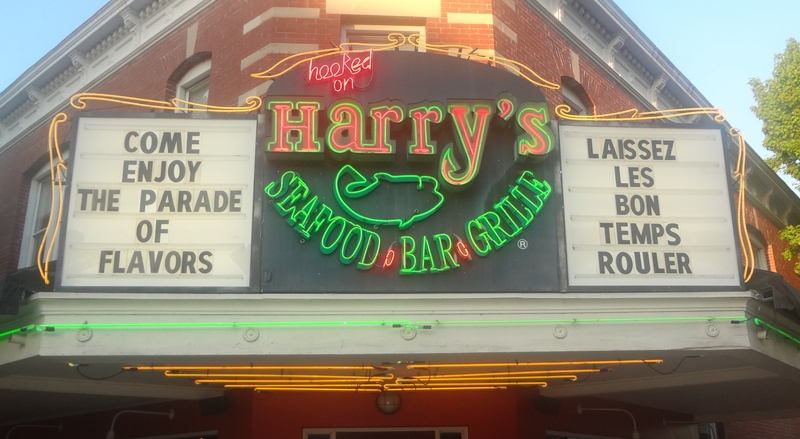 There are 5 Harry’s restaurants scattered across Florida, but their flagship restaurant is located in the very heart of Lakeland, which is why the picture above has also made it to the banner on top of this page (keep hitting refresh and you’ll eventually see it in the banner). Even though the middle of Downtown Lakeland is a little ways further off of i4 than Hooters, Outback, Smokey Bones, etc., I still recommend that travelers commit to driving a few extra miles to get the true Lakeland experience. The only reason why I don’t mention Harry’s every time that I am asked is because the wait to be seated is notoriously long. Harry’s does not accept reservations. Instead, you have to have a face-to-face conversation with a hostess (we’ve tried calling the hostess stand from home, don’t bother making the same mistake) who will tell you that you have a 45 minute wait and will ask for your phone number. You’ll receive a text message with some links to games you can play while you wait. 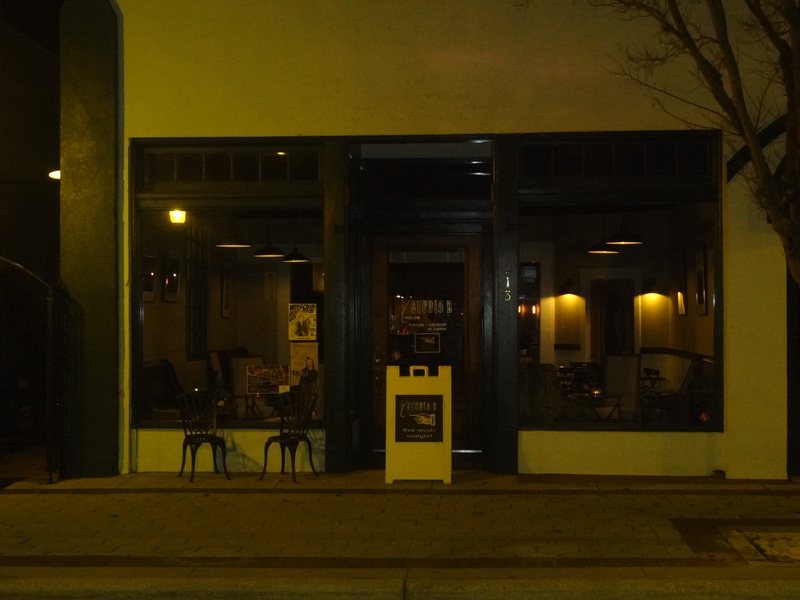 More importantly, the hostess will encourage you to walk around Downtown Lakeland because they’ll call you as they begin to ready your table. A quick walk through the streets of Downtown Lakeland is a great way for a Lakeland newbie to get a feel for the town… and see some swans! What’s a trip to Lakeland without seeing a swan?! If you are in small party (ideally just two of you) and would rather not wait, here is a trick. Just blow past the hostess and all the people waiting in line and linger around the bar area. Snag two seats as they open up and ask for some menus. My wife and I have turned a 45 minute wait into a 0 minute literally dozens of times this way. The bartenders tend to serve food a little quicker than the waiters, for an added bonus. If you love authentic, Cajun inspired dishes as much as we do, then you won’t want to wait any longer than you have to either! Let’s take a look at some of our favorites. Believe it or not, the above is a picture of grits. 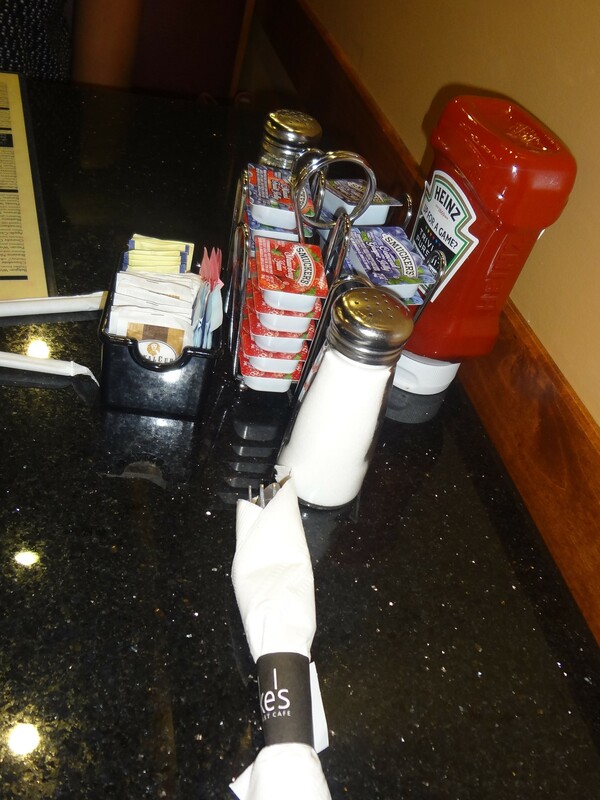 “Grit cakes” appear as a side item on the Harry’s menu, but we often order them as an appetizer. You should, too! Above is a classic Jambalaya but with the rice subbed out for pasta, which is a fun twist! Above is the Chicken Baton Rouge, which is a great option for those fearing spicy food (can you tell that we love the grit cakes?). 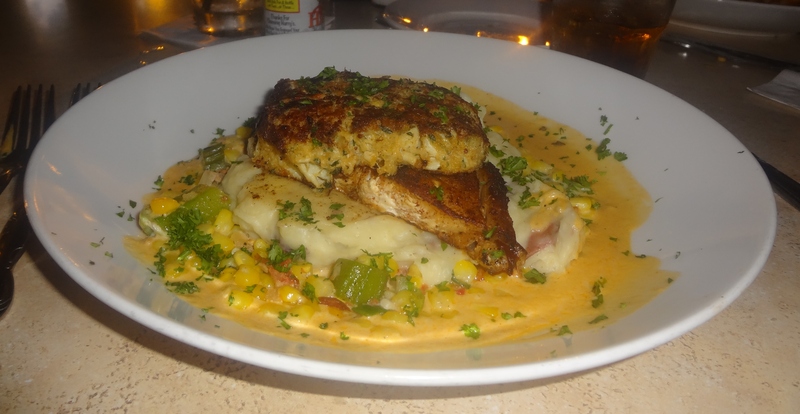 Above is the Crab Crusted Redfish Royale. Please note that “crab crusted” means they throw an entire crab cake on top of the blackened redfish. Last, but not least, let’s look at one of the main reasons why people get Hooked on Harry’s. 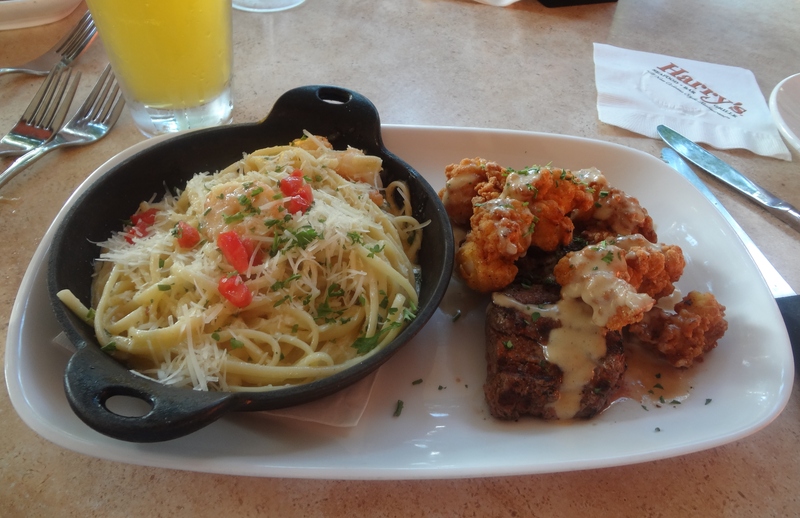 Pictured above is “Harry’s Holiday Trio,” which consists of grilled fillet medallions topped with fried lobster with a side of shrimp scampi. Harry’s always has new dishes like this on rotation, which means that there is always a new reason to stop by. Perhaps the true uniqueness of Harry’s is that someone who grew up in New Orleans will love this food just as much as a person who has never heard the word “Creole” before. 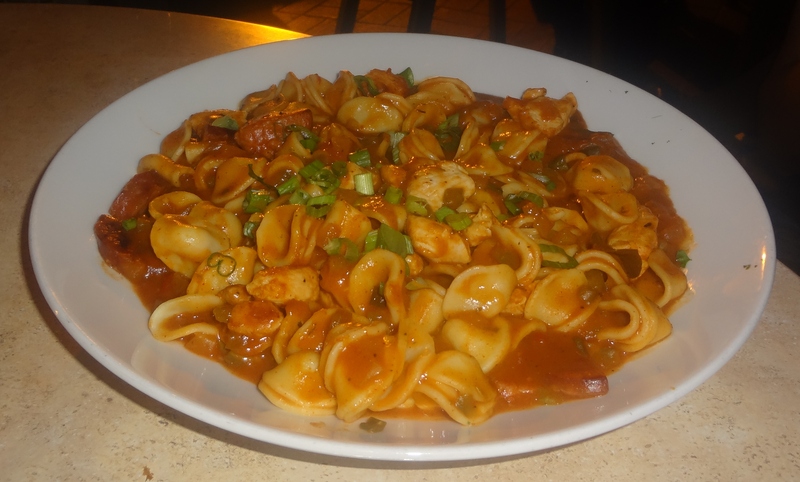 If your Lakeland newbie says to you “But I don’t like spicy food…,” go ahead and bring them to Harry’s anyway. 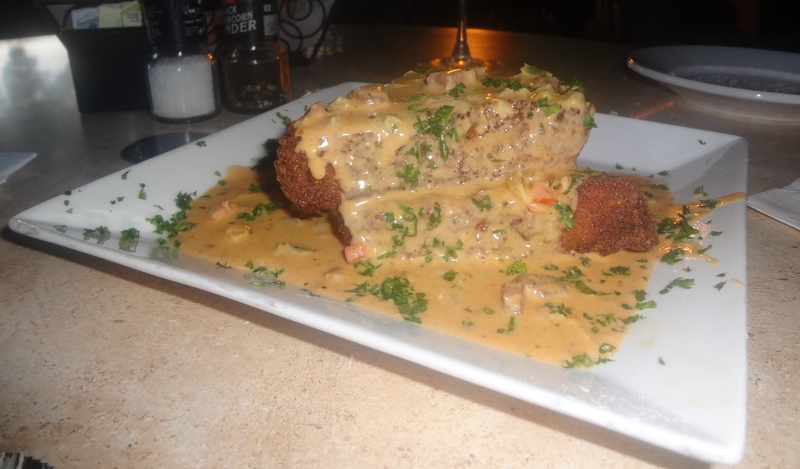 They have a dish for every palate here, yet each dish stays true to its Nawlin’s heritage. It’s really magic, it’s really a miracle, and it’s really Harry’s. 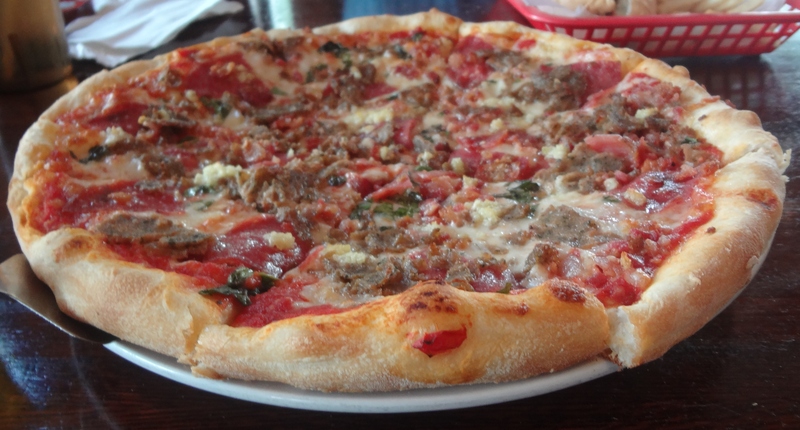 Ciao Bella’s is a tiny, little Italian restaurant and pizzeria that is run by a tight-knit Italian family. If you google them, their website doesn’t come up so I just did the world a favor by posting it here. Want some more convenience? 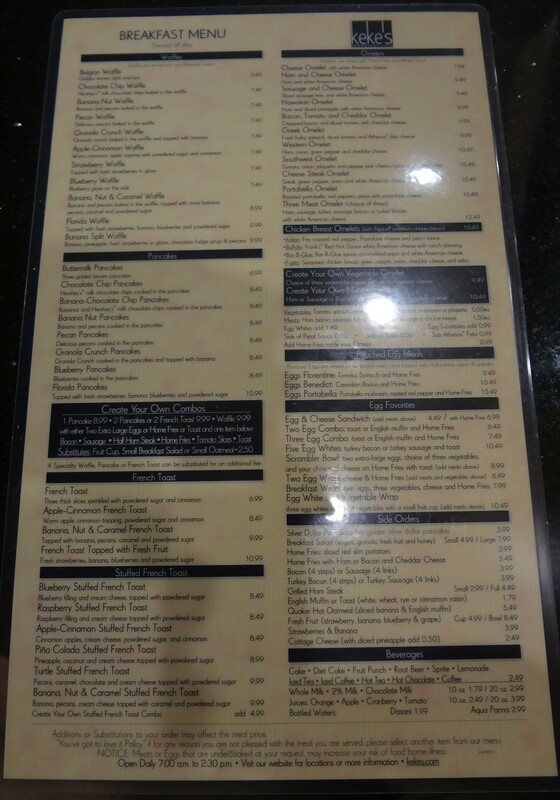 Here is a snapshot of their menu. Some shots of their NY style pizza, too? Sure, why not! As you can imagine, food like this draws a crowd, which is a difficulty for Ciao Bella. Unfortunately, this little pizza shop can feel a bit crammed inside. I’d only recommend sitting down here if your in need of a quick fix for some pasta and perhaps a glass of wine on the fly. Much like Antico’s, this little pizzeria is hidden away in a strip mall (Plantation Square off of Socrum Loop Road), smushed between a liquor store and a busy Publix. This makes for very limited seating, however, the location opens up some creative options for Lakelanders who are in the mood for a little romance. Both the food and overall experience at Ciao Bella’s are light years ahead of its delivery chain neighbor, Hungry Howie’s (also located in this same strip mall). However, Ciao Bella’s food is in a dead heat with Palace Pizza, which is only a short car ride away. 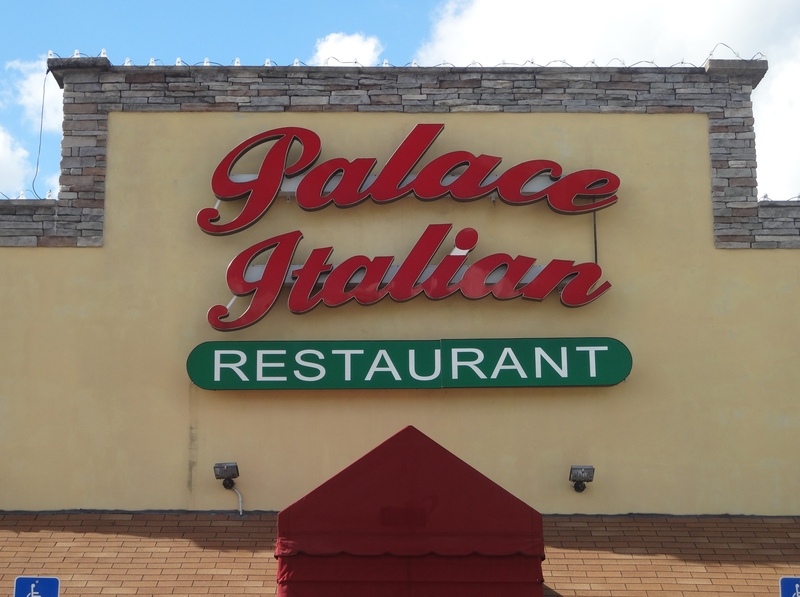 If you’d like to sit down and have a dinner date in an Italian restaurant, Palace Pizza might be the better choice. 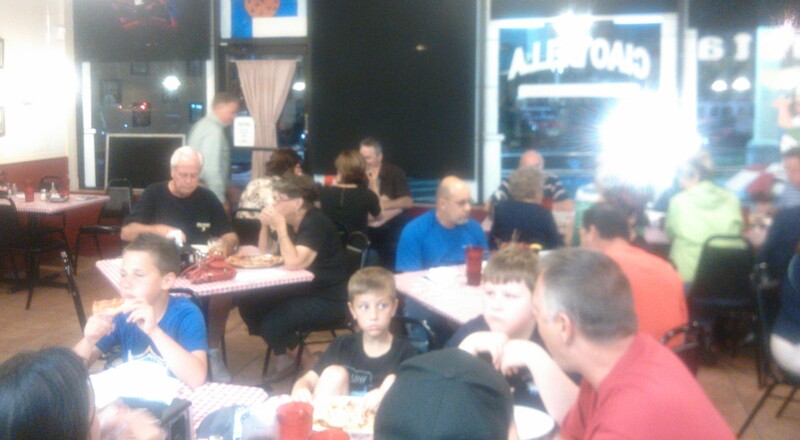 Ciao Bella’s less than intimate dining area is pictured below. Ciao Bella’s may not be your first choice for an evening out, but it could be a top contender if an evening in is the way you work your mojo. If you and that special someone are in the mood for some seclusion with your dinner, give Ciao Bella’s a call (863-859-9075) and place an order for two Italian style entrees. Then, head straight to Publix to pick out a nice bottle of wine, a few candlesticks, and maybe a dessert from their bakery (Publix even has a florist on site, in case you need to resort to drastic measures). When you finish assembling your little arsenal of love, it’ll be time to take a short stroll next door and thank the staff of Ciao Bella’s for doing all of your cooking. Now have fun, you two! Psssssst. 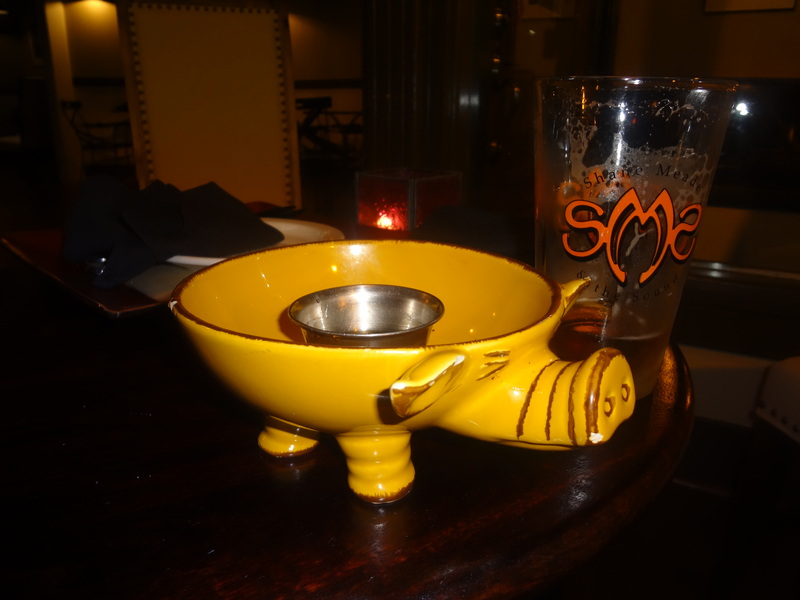 Lakeland has it’s very own speak-easy. 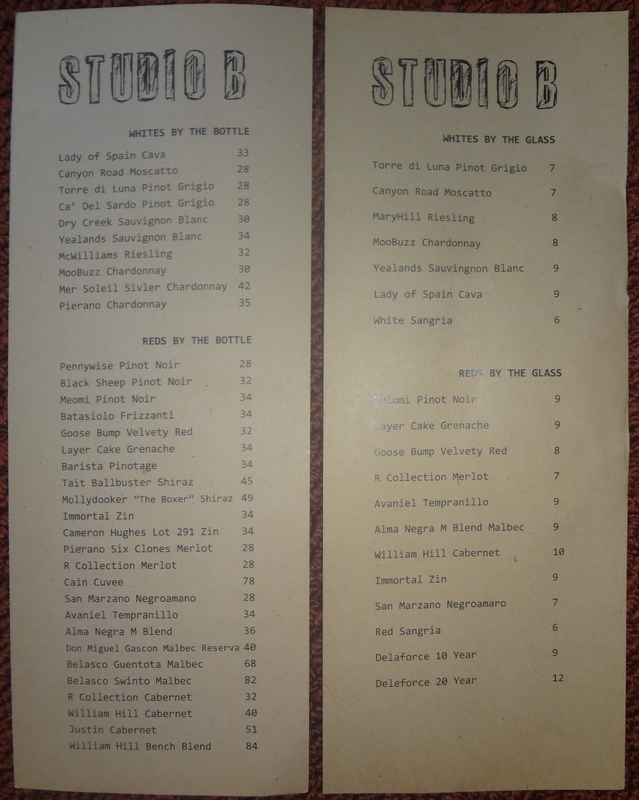 Studio B is tucked away off of the beaten path on East Bay Street in Downtown Lakeland. The inside is dimly lit with a cozy yet sophisticated feel. There is a “Studio B” sign outside of the building, but it is small and easily overlooked. 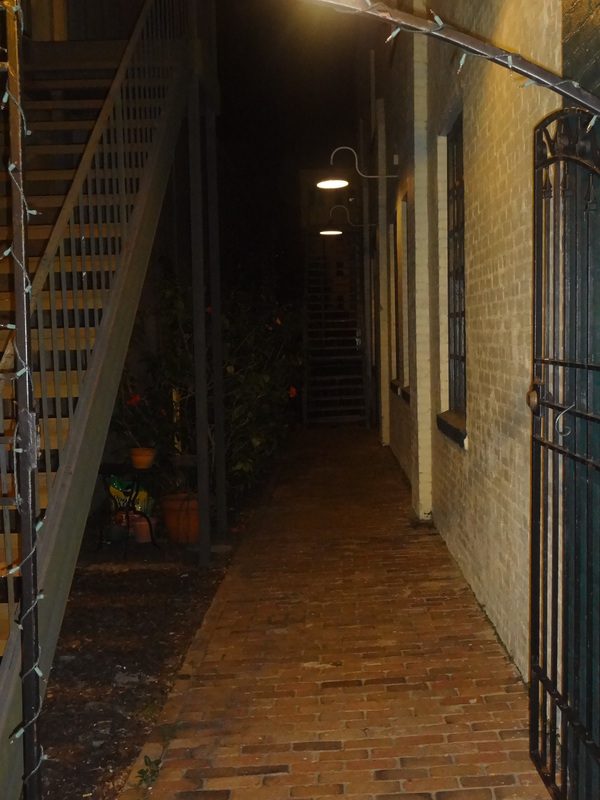 The entrance is through an alley, which solidifies the speak-easy feel. The most distinct part of atmosphere, however, is the music. No annoying pop or club dance mixes here, the live musicians play quality tunes ranging from Jimmi Hendrix covers to improv jazz. The music establishes the perfect back drop for savoring some wine while reclining on their comfy leather couches. 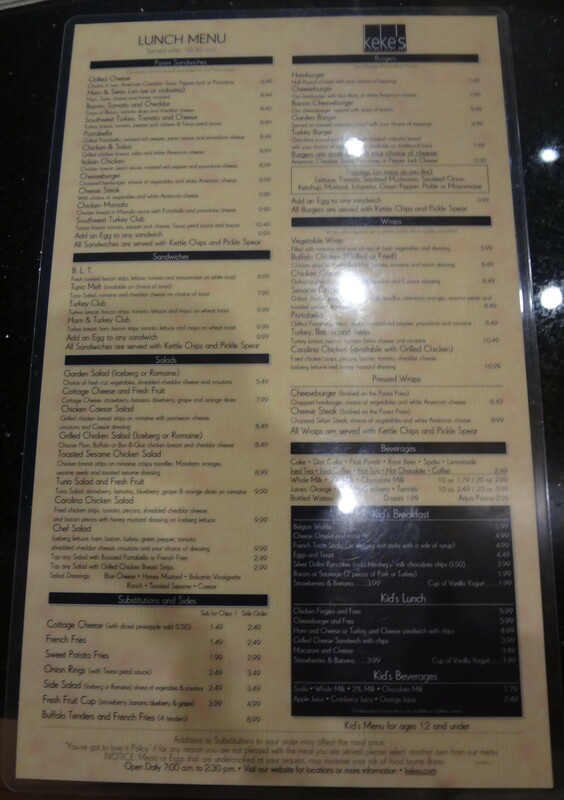 If you are in the mood for a snack, the menu has several tempting little dishes. Our favorite so far is the “Bowl of Bacon.” Bacon with maple syrup late in the evening is a brilliant idea. Sadly, the bowl always seems to become empty too soon. 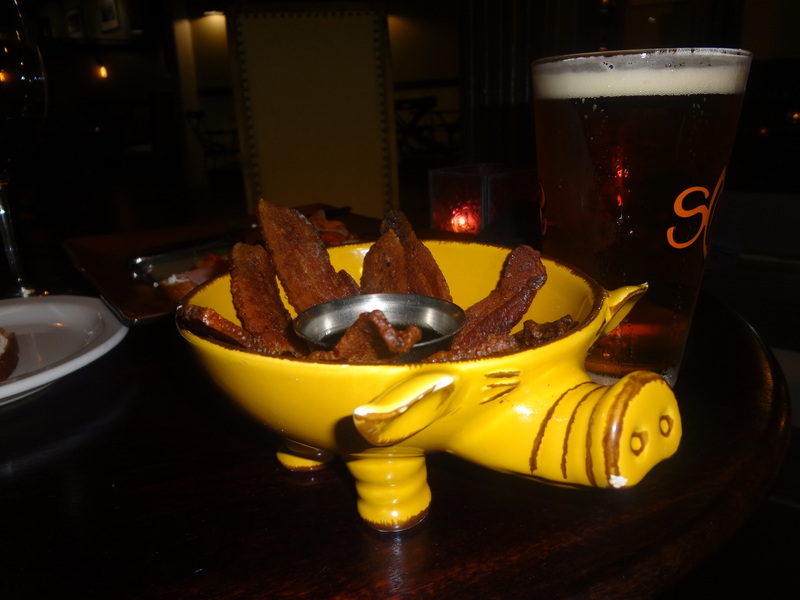 While bacon definitely pairs well with beer, let’s not forget that this is a wine bar. Here is their wine list. 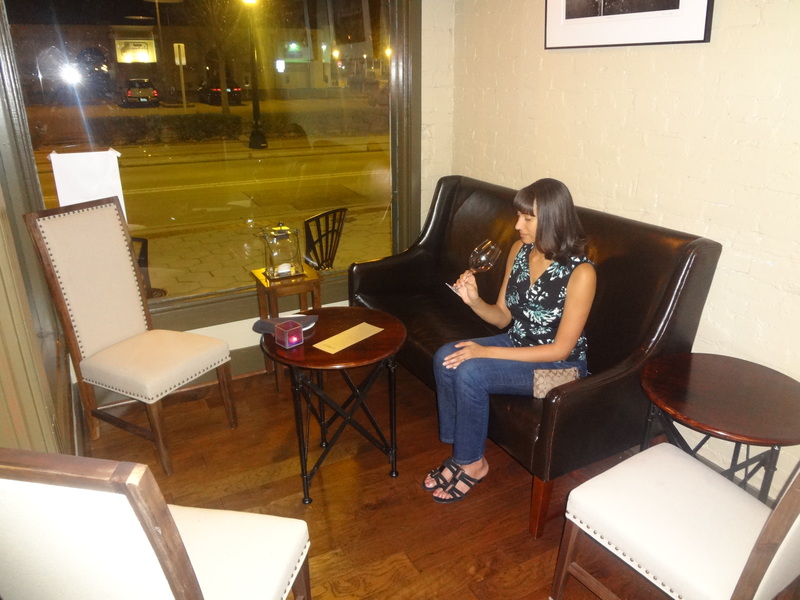 Wine bars in Lakeland are definitely becoming more ubiquitous. Lakeland itself is growing and changing, and we have all been quietly acknowledging this for quite some time. Even so, this place is still a bit of a surprise, and it will make you feel as though you have left Lakeland for the evening. Much like the Hookah Palace, a stop here promises a unique experience. So keep it on the down low, and sneak on into Studio B! March 14, 2014 at 6:30 pm – 10:00 pmLake Mirror, Downtown Lakeland. Enjoy over 125 wines, micro brews, food samples, and live entertainment. Proceeds benefit the Alliance for Independence of Polk County. Visit the event website at http://winefestivalofcentralflorida.com to order tickets. Palace Pizza is hands down, above and beyond any chain delivery pizza slop shop. 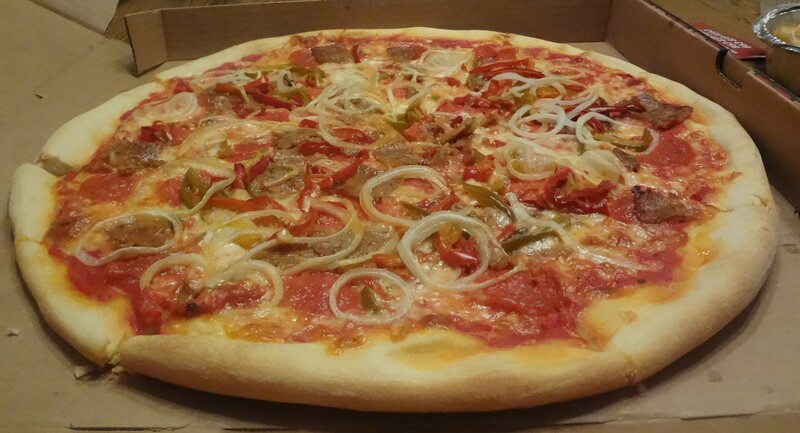 I’d say that Palace Pizza offers a pie that is New York style but has some remnants of Italian influences. The sandwiches here are also Italian/American, but let’s talk about pizza first! Pictured above is “The Palace Supreme Pizza” which is their most expensive option. A large is priced at $19.95 and features your choice of up to 5 toppings and a fun blend of Parmigiano and mozzarella cheese. There are several other options of course, all of which feature a crust that is yummy doughy. The sandwich rolls are yummy and doughy as well. The rolls almost taste as if they are imported from the Northeast, but as it turns out, they are from Sysco. 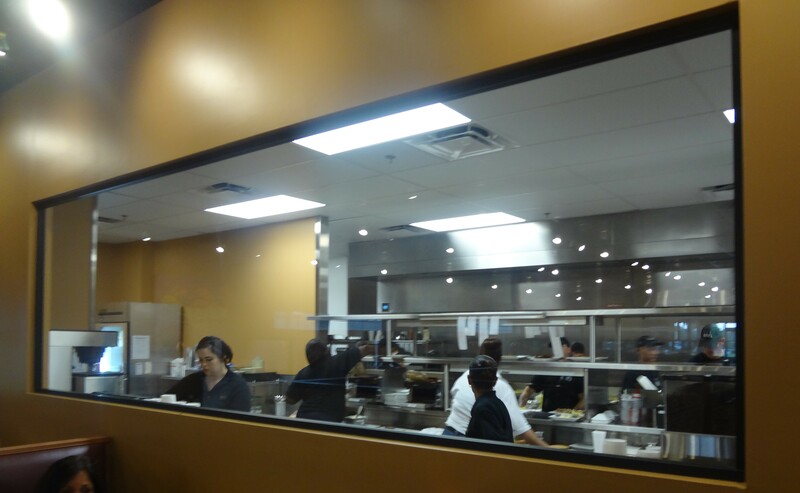 Although sourcing food from Sysco is a far cry from new and exciting, we aren’t going to cry about it. What we will cry about, however, is that the subs are only available during the lunch hours. We also want to cry because this pizzeria does not deliver. Don’t you dare call a delivery chain instead of making the drive to Palace Pizza! Avoid corporate imitation pizza at all costs. I could go on and on about the evil corporate lies and mass produced, imitation pizza. Instead, I’ll just post another pic of what Palace Pizza has to offer, because a picture is worth a thousand words. 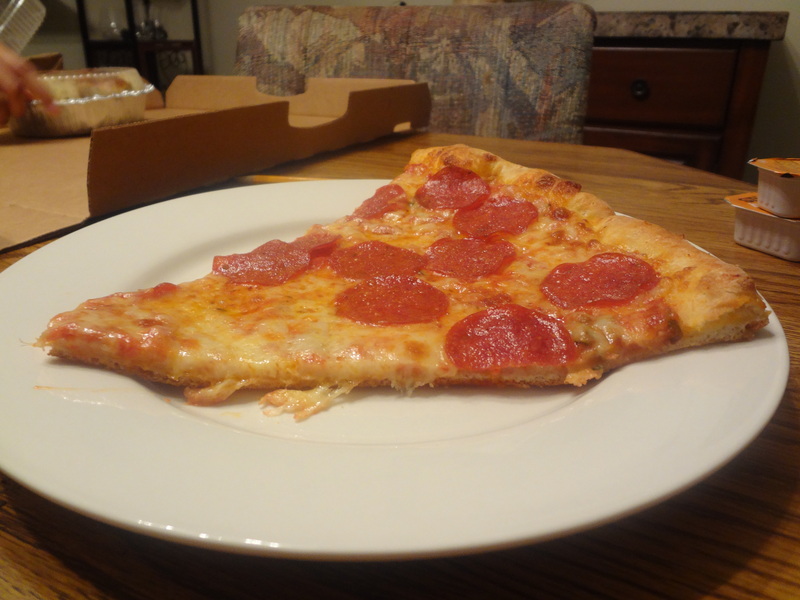 That, my friends, is what a slice of pizza is supposed to look like. Palace Pizza makes up for the inconvenience of having to leave your house by offering 3 convenient locations in Lakeland that all have decent seating, decent bread sticks, Italian beer, and are pet friendly. If you are willing to make to make a short commute and spend some time, you may also be interested in the Italian styled entrees on their menu. 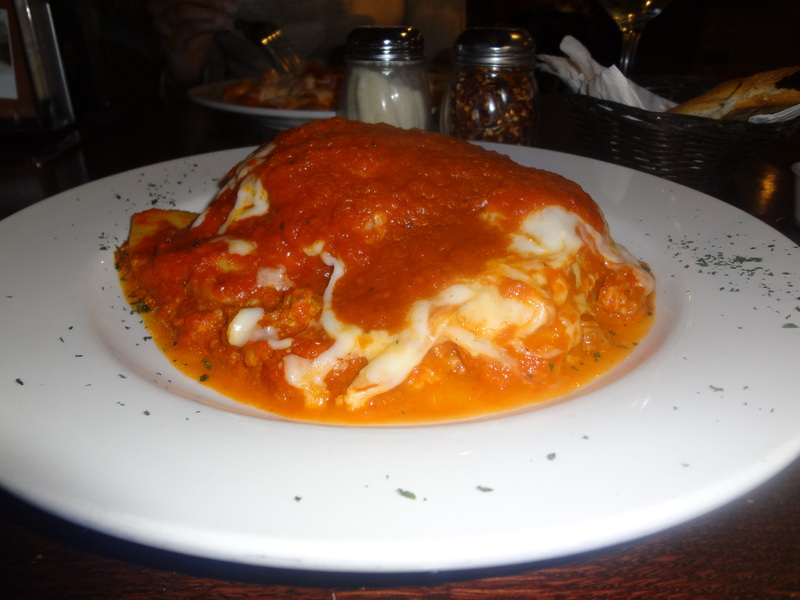 The lasagna is the top seller at the Northside establishment. This lasagna, along with most of the Italian dishes here, is at least 1% more exciting than the insipid “classic dishes” that the Olive Garden pumps out. 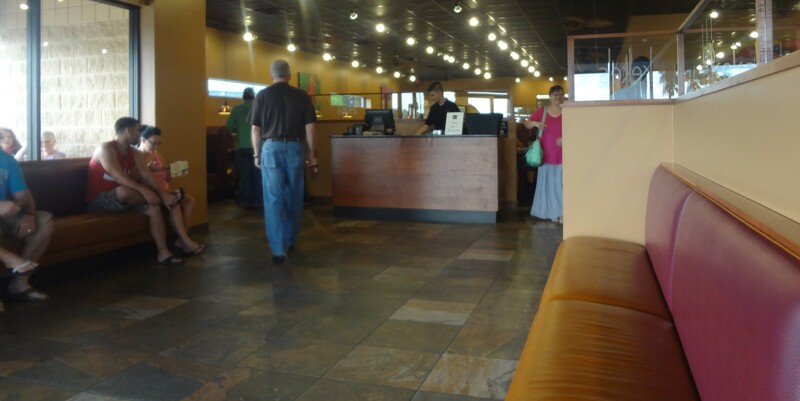 The Italian style entrees here, and to some degree the pizza, are comparable to the several other Italian style pizzeria restaurants here in Lakeland. Just for fun, let’s try to name them all! 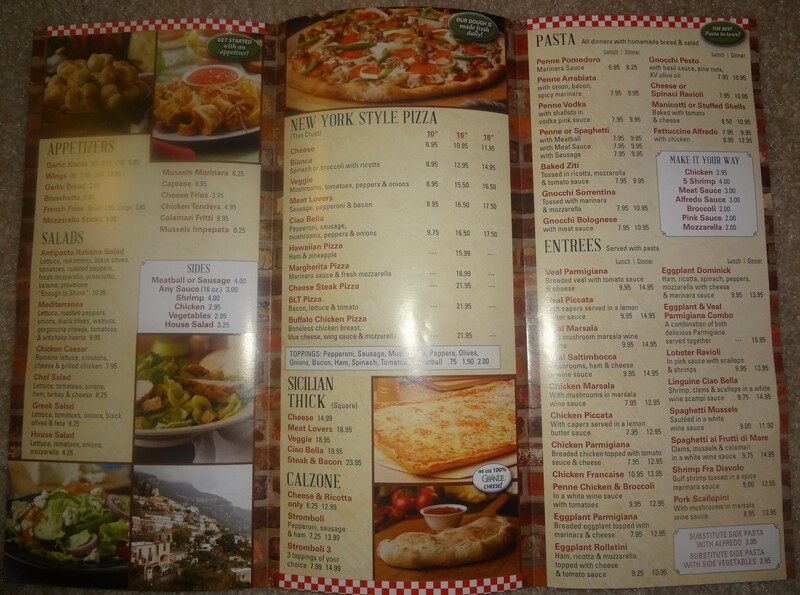 We realize that there are more pizzeria’s than this in Lakeland, but the one’s above are the only ones that offer both New York style pizza as well as Italian entrees. If we are missing one, please let us know! The GFWC Junior Woman’s Club of Lakeland is hosting their first annual Live Green Lakeland festival in March. Come and check it out! This will be a family friendly event highlighting the Lakeland community’s eco-friendly businesses, non-profits and organizations. Will there be food vendors at this event? Yes there will be food vendors. Yes, local businesses, non-profits, civic organizations and vendors will be set up throughout the park. Some of the booths will have crafts or activities for children and there will be entertainment at different times during the event. Everyone! Especially those interested in the Lakeland community and environmentally friendly products and issues.